Wide sweeping views of one of the world’s greatest city. The wonderful subtleties of light in the brief but mysterious time between sunset and night, or between night and dawn, has always intruigued Adam. 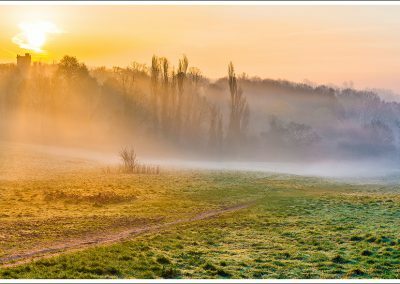 He is drawn to the beautifully magical effects of light created by the sun being on, or just below, the horizon, and the way it can cause the high clouds and the layers of the atmosphere to be illuminated by the warm glow of the sun’s rays. 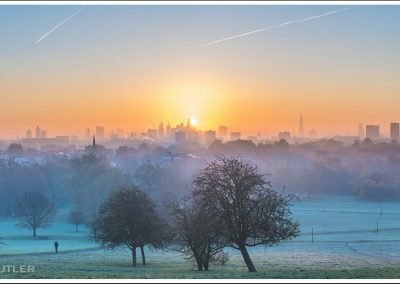 In these panoramas of London, the evanescent crepuscular or incipient dawn light is captured with unique, magisterial skill, along with the gleaming interplay of the light glinting off the builidngs – both modern and historical – or off the shimmering surface of the River Thames. 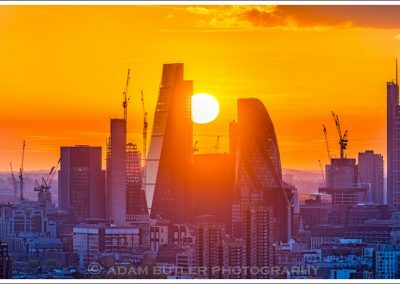 Adam uses primarily a high resolution medium format digital camera with the sharpest lenses made, including specialist tilt/shift lenses, to capture these London Panoramic Photographs. They have extraordinary richness of tone and are extremely detailed. Each panorama consists of many individual photographs which are stitched and blended together in order to create these impressive and expansive views, encapsulating the haunting beauty and unique character of this great city. Many of these panoramic images are then extensively worked on meticulously and patiently using Adam’s post production skills in order to bring out the subtleties of tones, or to crate specific atmospheres, making the resulting images as much a reflection of how the view felt as much as how it actually looked. 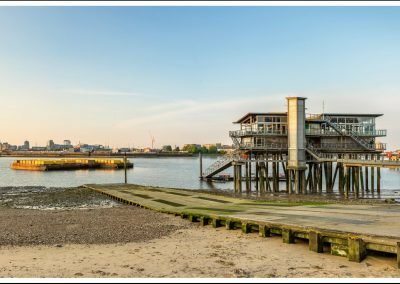 These London Panoramic Photographs are so highly detailed and with such luscious colours and tones, that they can be ordered in any size, from 1m to over 10m wide, with no loss of quality whatsoever. Adam’s London Panoramic Photographs are in many private collections, in the collections of UK based and multinational corporations throughout the world, as well as in various local and central government offices. 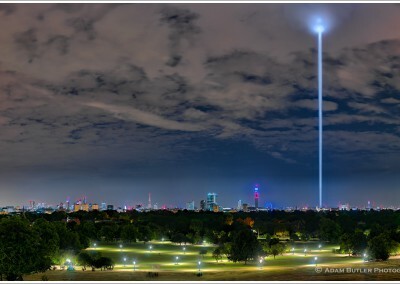 Please enquire to license for editorial, advertising or any other use any of these London Panoramic Photographs. A selection of these panoramas of London – framed and ready to take home – is always available to be seen in his studio in Marylebone, in central London. Please contact Adam to make an appointment. 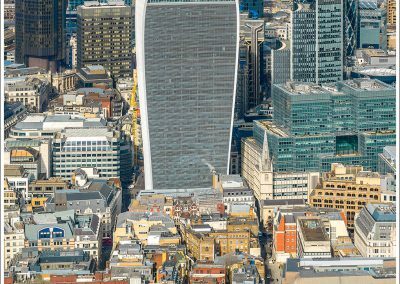 There are many other London Panoramic Views available – please enquire if there is any particular view you might wish to see, or perhaps even commission Adam to create especially for you. Click on each thumbnail to enlarge the image and for more information on it.